1) Christ Jesus came into the world to save sinners. 2) If someone aspires to be an elder, he desires an honorable position. 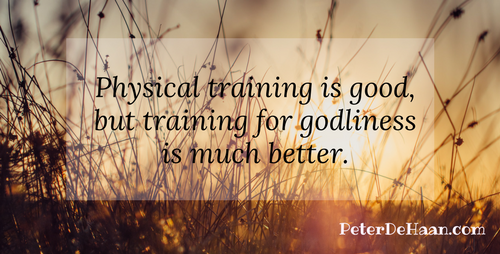 3) Physical training is good, but training for godliness is much better, promising benefits in this life and in the life to come. 4) If we die with him, we will also live with him.